Who doesn't like fashion giveaways? Especially when the seasons are changing and it's a great time to add some new items to your wardrobe. That's why Fashion Studio Magazine partnered up with online boutiques StyleWe and JustFashionNow. Read more about the contest below and hurry up as there are only 10 days left! The right choice of stylish pieces to fill your wardrobe is quite significant in embracing your lifestyle. 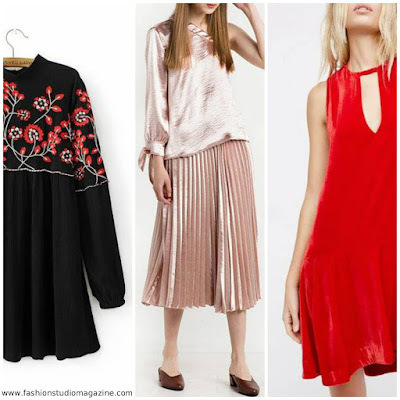 JustFashionNow’s vast collection of indie designer brands carry clothes that will absolutely cater to your specific style needs. From decadent accessories to fancy evening gowns – we have got you all covered! To kick off your 2017 fashion wardrobe with fresh and fashionable style pieces, we are super thrilled to have you join our giveaway contest! It’s Giveaway time! Let JustFashionNow help you out revamp your fashion wardrobe this season as we are giving away 2 shopping coupons worth $150! Do you want to know how this works? The rules are super easy and simple. Are you ready for this?! Click here to take part in the giveaway. Good luck! Don’t forget to browse through www.JustFashionNow.com to check out unique and fashionable pieces that you wish to take home. *This contest is open to participants in the U.S., Canada, UK, Italy, France, Germany, New Zealand, and Australia.